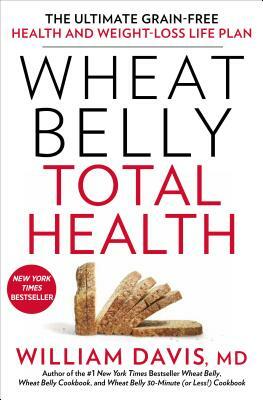 Wheat Belly Total Health is about regaining full metabolic well being, reflected in blood sugar and other measures that may require additional steps beyond grain elimination. This book is your guide on the journey to long-term health and vitality—and it will be the only book you ever need to break the grip of wheat, lose weight for good, and achieve vibrant, lasting health. WILLIAM DAVIS, MD, is a New York Times bestselling author and a cardiologist who advocates unique, insightful, and cutting-edge strategies to help individuals discover the health hidden within them. His blog, wheatbellyblog.com, has been visited by millions of people. Dr. Davis has also shared his passion for wheat-free living on national television shows including The Dr. Oz Show and CBS This Morning. His Wheat Belly Total Health program became a public television special. He lives in Wisconsin.